It hasn't been long since Microsoft began their rollout of the Windows Phone 8.1 update but they are already giving details of the next update which is slated to roll out in the coming months. 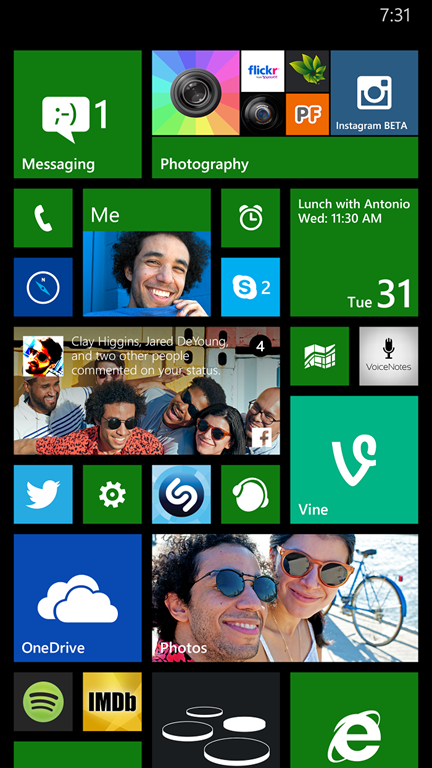 The update isn't as significant as Windows Phone 8.1 was, but it still brings some good improvements to the platform. Cortana has been improved and is being rolled out to new countries with localization to make it more usable for different people in different parts of the world. Folders have been implemented in a clever way as well, and there are a whole bunch of other additions throughout the OS. We've detailed some of the bigger changes below, starting with Cortana. Microsoft's virtual assistant, Cortana, is making its way to several different countries with this new update. Microsoft has put some focus on bringing the feature to the Chinese market with more localized information that would be relevant to someone living in China. The Chinese version of Cortana supports Mandarin Chinese for voice, text, and speech, but Microsoft is also including special features like an alternate form with a different appearance, different animations, and different sounds. Cortana in China also provides information like air quality on weather cards, information about driving restrictions, and the ability to track local TV shows and celebrities, all of which are features Microsoft hopes will make Cortana more useful to users in China. Microsoft has done the same sort of thing for the new UK version, with a British accent and British English spelling in Cortana. Locally relevant info like info from the London Stock Exchange and local sport statistics are also included. 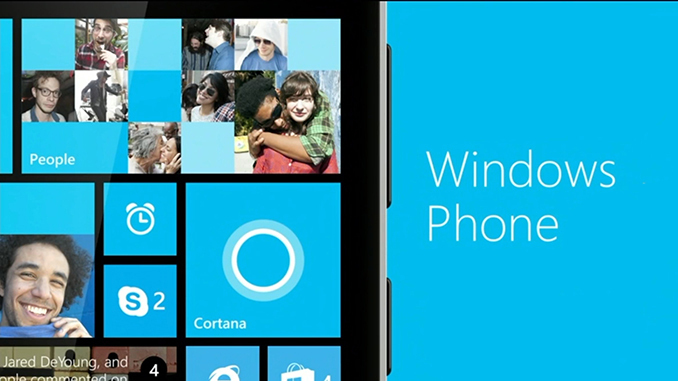 With the new update Cortana will also be rolling out to Canada, India, and Australia as an alpha. Users will have to choose between using Cortana with the US or UK English language model as Microsoft is not finished with any localization in those regions. 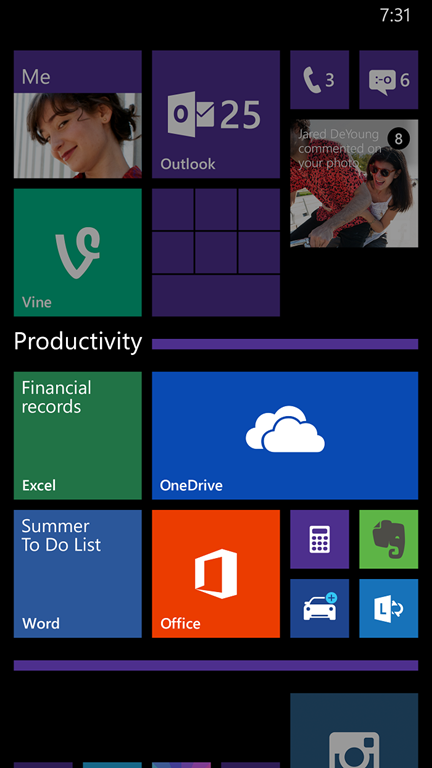 The big feature addition of this update is one that users have been asking for since the days of Windows Phone 7. Folders are coming to Windows Phone and Microsoft's implementation is clever by not destroying the functionality of live tiles within a folder. The folder takes up a dynamic amount of space on the home screen and the space is made up of all the live tiles within that folder along with a folder name running along the bottom. The user can make certain apps appear bigger or smaller depending on their importance and arrange them however they like. When tapped the folder expands to show all the tiles at their normal size. Beyond that there are various improvements to parts of the OS. The Windows Phone Store now has a live tile that updates to show new apps and games that have been added to the store, the SMS app gains the ability to select multiple messages for forwarding or deletion, and there's a new apps corner section in the settings app which allows the user to set up a mode with restrictions to what apps can be used. Microsoft is hoping the apps corner feature will make it easier to deploy Windows Phone devices in business scenarios where only a few apps needs to be accessed like for barcode scanning and inventory management at a distribution center. The last thing Microsoft detailed are improvements to privacy and security features.The new update to Windows Phone will include VPN support to better keep information secure when connecting to wireless networks like public hotspots where the user doesn't want to expose themselves to other users that may be on the network. Microsoft's time frame for when the update will be released is just described as "in the coming months." For users running the Windows Phone 8.1 developer preview, the preview of this latest update will begin to roll out next week. As cool as that would be, I doubt it will happen any time soon. If it wasn't for the touch version of office not being ready I don't think MS would have even put the desktop on the RT devices. Maybe we will get to a day when we will get dock able phones and can take over a display using miracast or something and have a desktop that way... but I don't think we will ever see desktop on the phone itself. The technology has been around for a while, but the software has been lacking. If Microsoft hadn't separated Windows 8 development into Windows Phone, RT, and desktop, but instead tried to unify them from the start, we all be using Atom-powered Windows 8 Pro phones right now. There are a couple that have been in development for a few years as I type this - the most well known being the i-Mate.